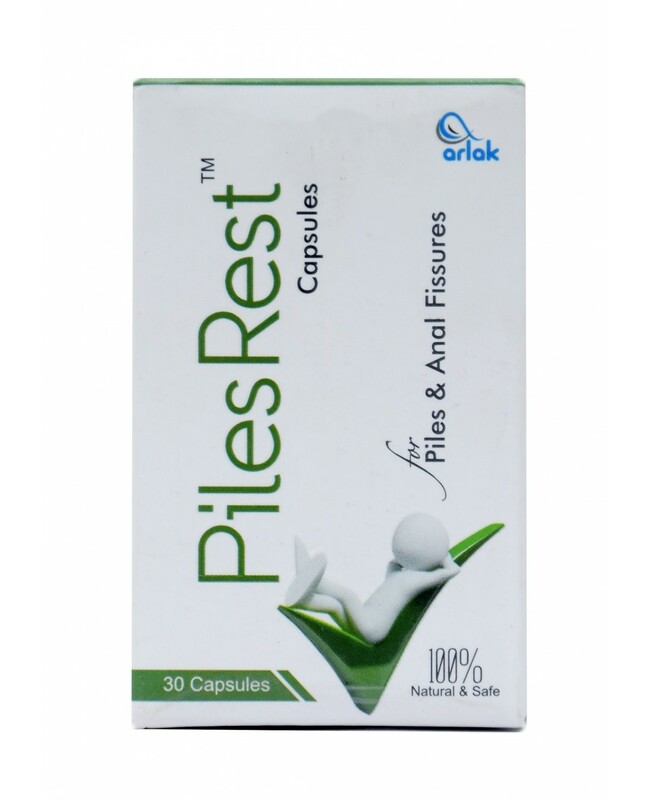 Say Goodbye to all of your piles problems with Arlak Pilesrest Capsules. 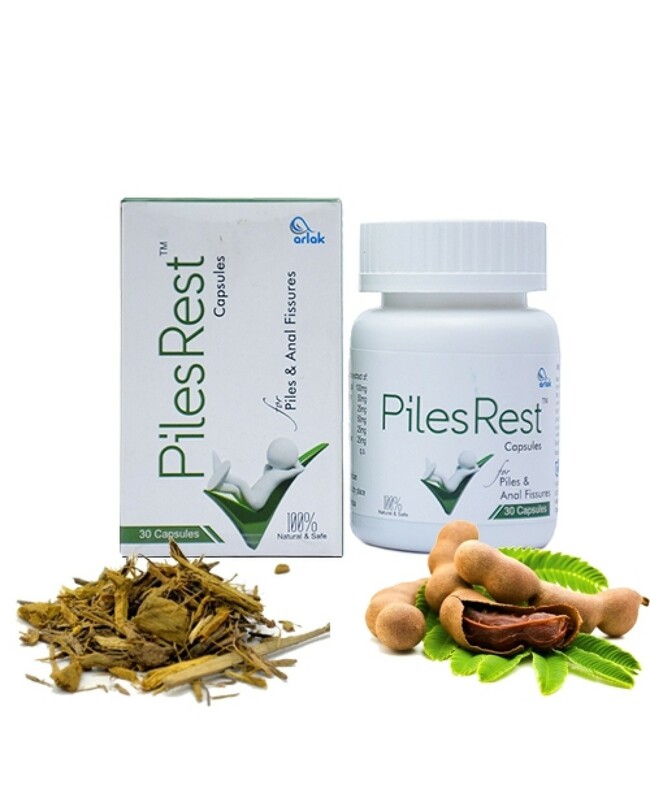 It consists of Daru Haldo whose medicinal value is used to treat several problems like stomach infection, ulcers, constipation, and Piles Too. This ingredient helps in reducing the bleeding, burning sensation, and itching. 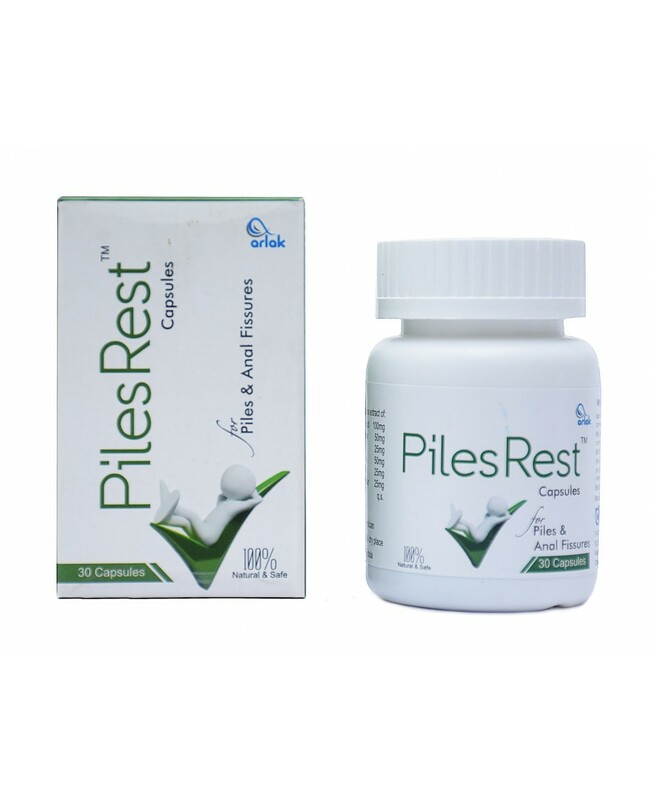 Also, it consists of Imli that has the major ingredient which is basically used to treat digestion and gastric problems.The most important ingredient present in Arlak Pilesrest Capsules is Amaltas which is one of the major medicinal properties to treat Piles. 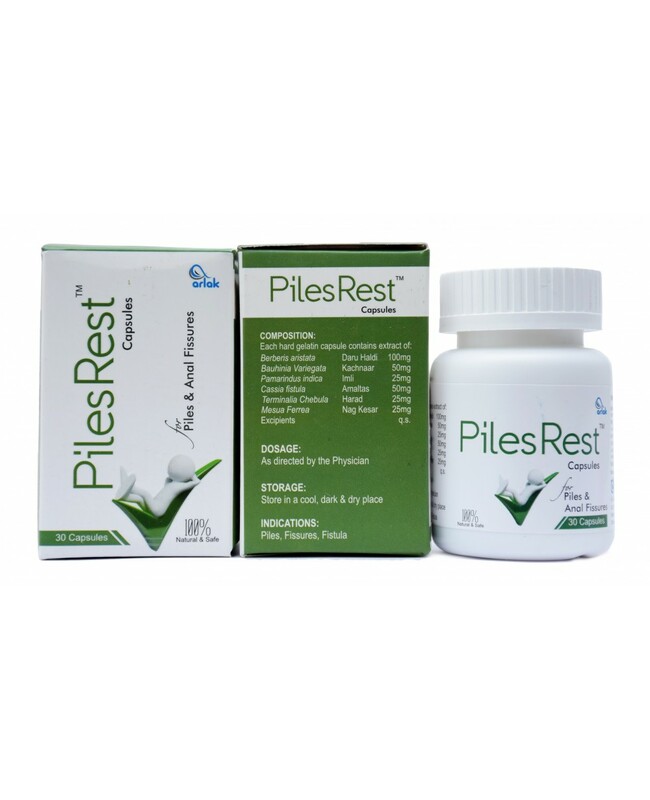 You have to take one capsule after the meal. 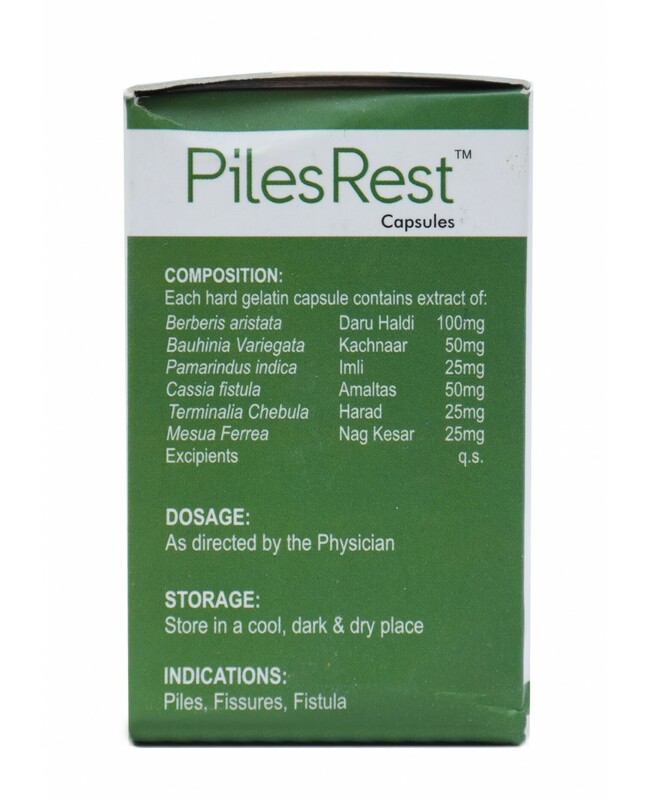 Only 1 capsule in a day.